Soar to 450ft on the incredible British Airways i360, then enjoy a 3-course meal for two at Cafe Rouge! Take a ride on the futuristic British Airways i360 and dine in style with this exciting experience package, ideal for romantic days out or family outings to Brighton. British Airways i360 was completed in August 2016 and is now a popular fixture on the southern coastline, offering views that stretch as far as 26 miles! Everything about this British Airways i360 experience is designed to replicate the thrill of travelling somewhere new and exciting. You'll be greeted by friendly staff and shown through security, before making your way into the spacious enclosure. Once all passengers are on board, the glass pod ascends to 450ft above the ground, providing incredible views of the South Downs, the West Pier and the city of Brighton and Hove. After the 25 minute 'flight' you may be feeling a bit peckish, so head on down to Cafe Rouge in The Lanes for a 3-course set lunch or dinner, plus a glass of Prosecco to top it off. This British Airways i360 and 3-Course Dinner package makes a fun gift idea for couples, or as a treat to yourself and a loved one for a memorable day at the seaside. Bookings for British Airways i360 can only be made a maximum of 4 weeks in advance. Opening times vary throughout the year, please check when booking. The first flight is typically around 10:30am, and the last is around 6:30pm. Times may change over the Christmas period. British Airways i360 is wheelchair accessible, but unfortunately the restaurant is not. Disabled parking is available at Regency Square Car Park and there is a subway leading from the car park through the beach level. There is an accessible toilet on both the upper and lower levels. 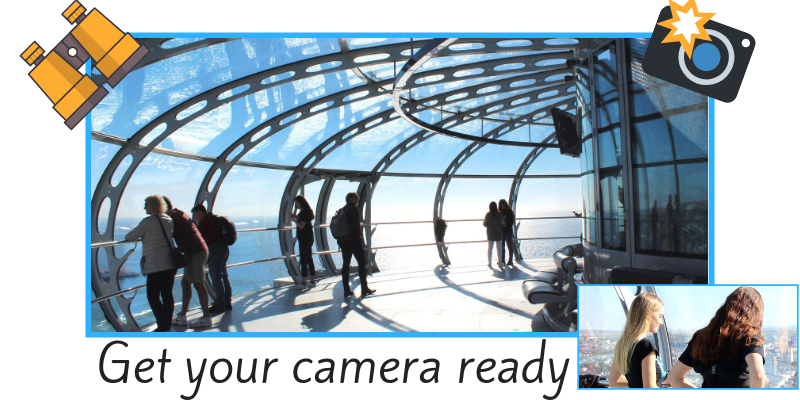 You should expect your visit to British Airways i360 to last around one hour in total - this includes security checks, pre-flight experience, the flight, and visiting the gift shop. The restaurant is a short walk away. 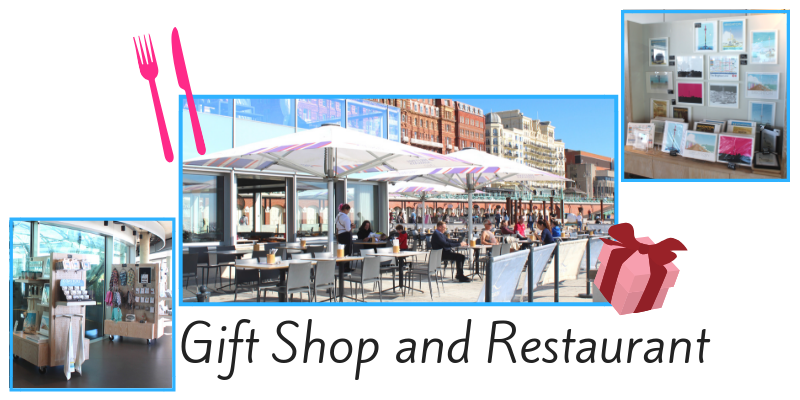 Participants: The British Airways i360 and 3-Course Dinner for Two is for 2 participants. British Airways i360 and dinner at Cafe Rouge is for two people only. British Airways i360 is able to operate in most weather conditions, however in high winds the pod may glide up to a lower height, as a safety precaution. My husband took me to the i360 for a day out and luckily the weather was great! I was very impressed by the service and formality of the experience. All the employees were smartly dressed and opera played as you were guided in and out of the pod. 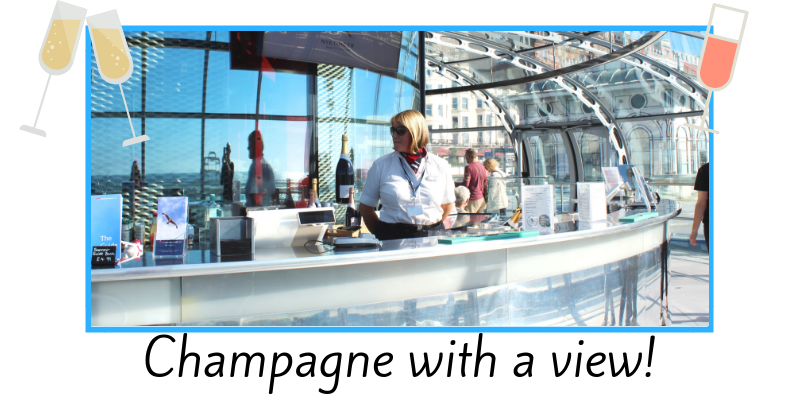 There was an unexpected bar on the i360 so we could drink champagne as we admired the views. Lovely experience and I would recommend this to anyone. We were given this experience as an anniversary present. We arrived at the venue and were warmly greeted by the staff and taken into the experience. The ambiance was first class. There was plenty of room to wander around so that all the views over Brighton could be clearly seen whilst we sipped a glass of champagne (additional cost), as it was a special occasion. We thoroughly enjoyed seeing Brighton from a different perspective. The second part of the experience was a meal at Cafe Rouge. The meal was delicious and the staff very welcoming. I would certainly recommend this experience if you are visiting Brighton. A great day out in Brighton. Fantastic views from the i360 showing Brighton as we had never seen it before. Lovely lunch at CafÃ© Rouge near the Lanes. Thoroughly recommend this as a great experience on the south coast. 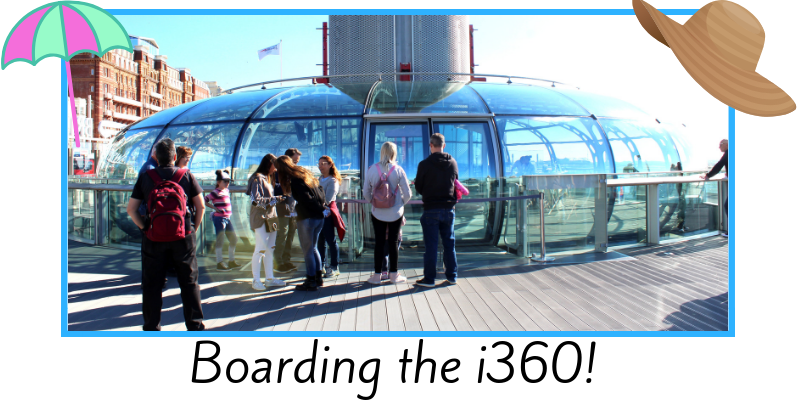 We were lucky enough to go on the i360 when the weather was superb - you could see for miles! The ride is plenty long enough to get a view from all sides, and they don't overcrowd it so you can't get to the window. Highly recommend! During what appeared to be a normal day in the office, Willow and I were surprised with tickets for the British Airways i360! With less than 24 hours until the event, we charged our Go Pros and our camera. We were very happy when we woke up to a sunny day, as we knew the views were going to be magnificent. The fact that our office is in central Brighton meant that we could leave at 11.15 to make our 11.30am slot. I have admired the incredibly tall piece of architecture while driving through Brighton on many occasions, so I was excited to finally get to experience it first-hand. After going through security, we were guided to a green screen, where a photographer was waiting to take our picture! She asked us to wave, smile and look to the left in three different shots. After this, we walked out onto an open plan balcony, from which we could see the whole of Brighton Seafront. A quirky deck chair with ‘British Airways i360’ on it made for the perfect picture background. After a couple of snaps, it was time to board. A lady in a very smart uniform opened the doors, and opera played as we were guided into the futuristic pod. There was a long bar inside with lots of champagne, as well as seating. As we were standing at the edge looking out to sea, there was an announcement welcoming us to this unique experience. Then off we went! We were slowly elevated up towards the sky, and reached a magnificent 450ft above the ground. The speakers pointed out sights such as Beachy Head and the South Downs, but the main view catching my eye was the sun glistening on the sea. It was so beautiful, and Willow and I had our photo taken as we looked out. After being stationary long enough to take pictures and walk 360 degrees around the pod, we began to descend. The pod is so smooth that you hardly feel yourself moving. It is incredibly calming, and I could see it being a lovely moment to share with family, or a romantic setting for couples. We reached the balcony where it all began, and continued to lower underneath this. Opera played as the door opened, and we walked out into a delightful gift shop. From tea towels to pictures, there were many mementos we could buy to remember our experience with British Airways i360. In the corner, there was a gentleman who had everyone’s photos from when we arrived. They were in a hard back book, with different scenes behind us. Suddenly, us being told to wave made sense! For twenty pounds, you get the hard-back book, as well as a keyring and magnet kit, with mini photos that you can cut out and slot in. We carried on walking and there was a small museum with lots of canvasses of the i360 being built, each with its own facts about the creation. For those who wanted to sit down and learn about this unique structure, there was a T.V. and viewing area with a short film. 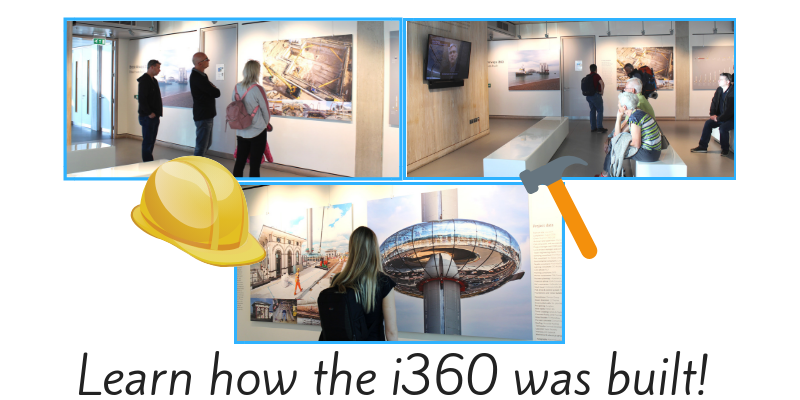 The i360 is a unique and wonderful experience, and one I won’t forget.